Our world is doing fine, we’re told, keep focusing on growth and talk it up as progress. Onwards to a world without poverty! And why not? Our world has halved extreme poverty in recent decades. There are more girls in school, more equality for women. Far fewer children dying before their fifth birthday. It is right to acknowledge and celebrate headway. But nothing is ever so definitive in a world where power and competition and resistance are in such constant and profound collision. From an Oxfam point of view, I see a different, more complex story. I saw it in South Sudan when I met brave, self-sacrificing women from my region. They sleep behind rings of fences and choose to endure hunger rather than subject themselves to the near certainty of being raped if they leave to collect food. Oxfam supported people like Tawfiq from Yemen. His family fled from home as “missiles fell down like rain” even as he dreamed his daughter would “become a teacher who could spread peace.” She was killed, aged 12, and Tawfiq was unable to bury her. Many others fleeing violence are drowning in the sea, close to the shores of the richest nations in the world. World hunger is up for the first time this century says the UN. 2016 and 2017 are the hottest years on record. This year we saw, in Yemen, the worst outbreak of cholera in modern history. Even famine is upon us. I wrote about no famine last year and now our world faces four; 30 million people facing extreme hunger. All of them share roots in man-made conflict and inequalities. This is no hiding place from our fragilities and failures. Our world is one where people in poverty are being deliberately failed by perverse political choices. This report demonstrates how Oxfam – 3,000 partners, 10,000 staff, and 50,000 volunteers – are responding to darkness with hope. We worked with 19 million people and were supported by millions more. I thank you, each one of you, for all your contributions. In this report you will read, firstly, about our humanitarian work. We step in when governments fall short, with life-saving aid, water and sanitation and help protect the most vulnerable. We speak out to governments, armed groups and the international community to find political solutions to end the suffering. We responded to more than 30 emergencies across our world, across conflicts and natural disasters. We raised a global alarm at the UN about the prospect of four concurrent famines, and scaled up our operations in those areas hardest hit. We continued to support people in forgotten crises, like those living in the Lake Chad Basin area. We supported refugees with essentials such as food and clothing, to legal counseling – in Europe too. We lobbied policy-makers especially in rich countries to share responsibility towards people fleeing from home and we railed against devastating effects of the anti-migrant policies being pursued by Fortress Europe. In this report, you will find evidence of Oxfam fighting with people to claim their rights in innovative and disruptive ways. We continued working with our partners for land rights. I was very proud particularly of our work with allies to resist a destructive hydro-project, backed by powerful interests, in Honduras. This was a struggle that our friend Berta Cáceres gave her life for. We pressured leaders to shore up financing for the poorest countries to tackle climate change and to support their farmers become more resilient to its increasingly harmful effects. We supported the Chinese Government to help developing countries adapt to climate change. I am personally pleased to see our work to tackle gender inequality strengthened. We launched “Enough!”, a new campaign to end violence against women and girls. This is a battle of ideas. We want to change the harmful social norms at the core of patriarchy. In India for example, we campaigned with our partners on a wide range of online activities and village, district and state level events – 1.27 million people took pledges and actions on social media to change social practices that discriminate against women. I was proud to sit on the UN Secretary-General’s influential High-Level Panel on Women’s Economic Empowerment, which Oxfam supported with policy input and in organization. Our report showed that we can no longer accept an economic model rigged against women and we stressed solutions to world leaders to tackle the barriers that women face, sparking tangible actions. Unilever, for example, pioneered a global strategy to tackle harmful social norms and push for gender equality. Oxfam provided the company with advice to shape its strategy and together we launched a practical partnership to expand choices for women and girls, by recognizing, reducing and redistributing the amount of time women and girls spent on unpaid care work. It’s an example of our multifaceted work with the private sector – in this case delivering change through one of the world’s largest and most progressive companies. This report, finally, reflects on Oxfam remaining true to the ambition of our founders. We know that in order to beat poverty, we must challenge a rigged global economic model that is fueling economic and gender inequalities. We’re focused on designing a more human economy that works for all. We released our report, “An Economy for the 99%”, at the gathering of the global elite at the World Economic Forum. This sparked a necessary shock, headlining the fact that eight men now own as much wealth as the bottom 3.6 billion people! As a result, in the last year we saw more decision-makers get behind our research and ideas. We helped push national debates on inequality from Uganda to Vietnam, and welcomed new leadership from Indonesia and other countries. We lobbied the World Bank and other major donors to ensure universal, quality healthcare and education – services that are so vital in reducing inequality. We backed the Panama Papers and pursued global reform to unjust tax rules. We helped bring together more than 300 top economists who said to the world’s media that tax havens serve no useful purpose and serve to increase inequality. We’re just beginning! This year I write to you from Nairobi, not Oxford, for the first time. We have now moved our headquarters to the global South. 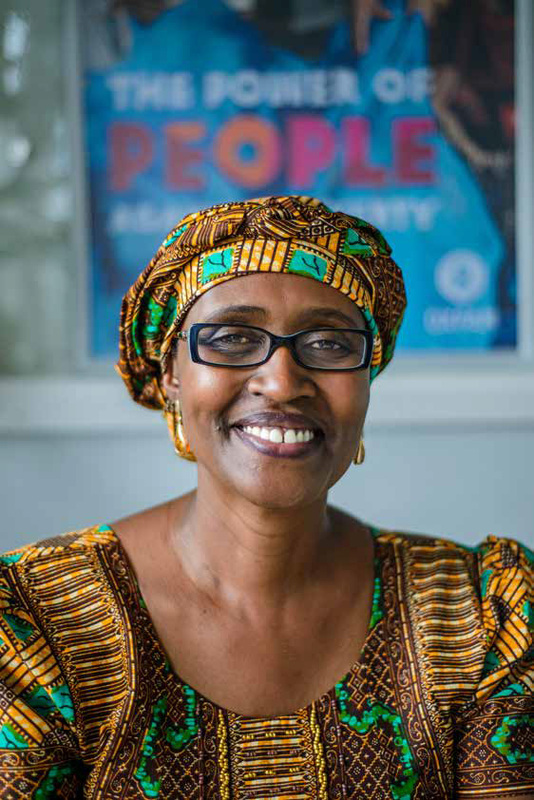 But it is part of a broader change at Oxfam – so we can be better positioned to change the world. We want to be a more globally balanced organization. This was a historic year in which we welcomed new Oxfam affiliates in Brazil and in South Africa – Oxfam’s first ever African affiliate! Now we look forward to new members in Turkey and Colombia. Moreover, our work is increasingly about supporting local partners already fighting on the frontlines. This is how we can tackle poverty, not as outsiders, but rooted in the everyday struggles citizens face. I end by remembering the last year for the loss of two most brilliant activists. Jo Cox MP was one of our fiercest campaigners. Berta Cáceres was an exceptional Honduran Indigenous and environmental leader. Both were murdered for speaking up for the rights of others. Their loss saddens as it does remind us that change is often brutally resisted. Their memory must inspire us to carry on our fight against poverty and for social justice with greater determination.